Stoic, duty-bound, and honorable - Ned Stark embodied the values of the North. As the scion of one of the great Houses of Westeros, Ned had considerable power, as well as great skill in war. Now, you can make Ice, the Sword of Eddard Stark, your own. Ice was, in lore, a Valyrian steel sword with a spell-forged blade that made it far superior in terms of the castle-forged steel that many of the weapons in Westeros were made from. In the books, Ice had a dusky, smoky hued blade, although in the HBO hit series, A Game of Thrones, its appearance was somewhat changed. 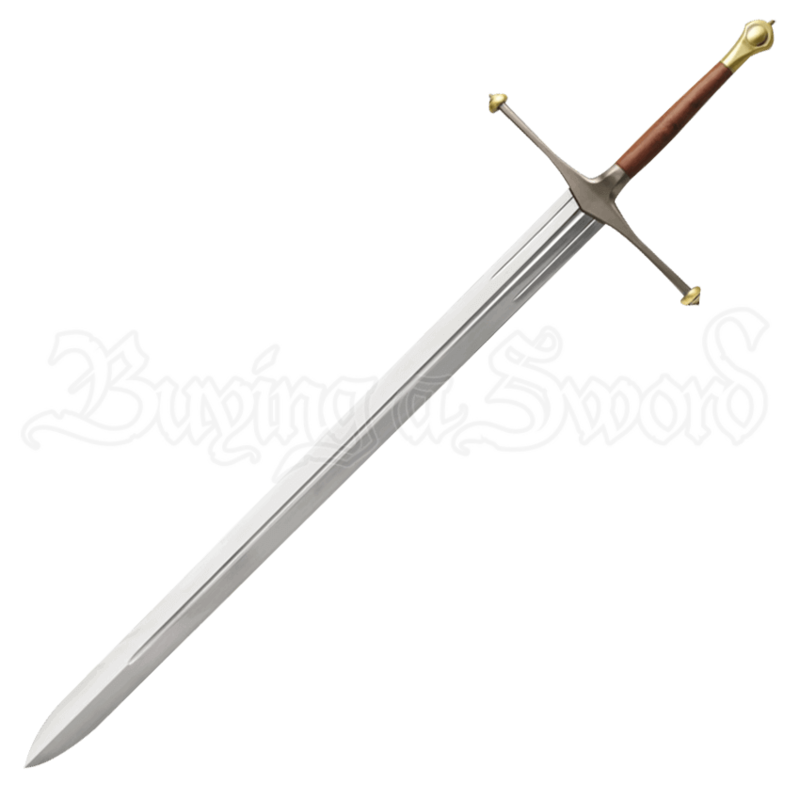 And for all those who saw the sword that Ned Stark, played by actor Sean Bean, wielded and wanted it for their own, now they have it. This version of Ice features a long, hefty, wide blade forged from 1060 high carbon steel, with an unsharpened, false edge to give it a realistic look. The blade features a unique triple-fuller design, with two short ones along the base of the blade and one longer one down its spine that ends just before the broad point. The wide guard features grey-iron finished quillons, tipped with brass knobs, while the full length tang is encased in a hardwood hilt. The stylized scent stopper pommel is finished in antique brass. Every detail from the filming prop has been recreated in this version of the Valyrian steel sword Ice, and it comes complete with a display plaque, silk screened with a direwolf emblem, and a certificate of authenticity. 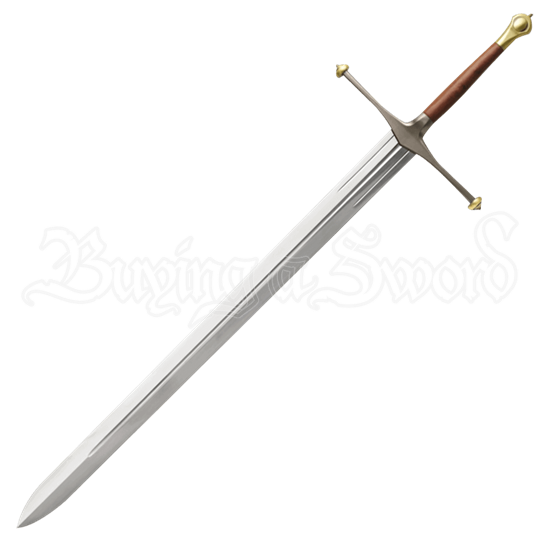 The blade is also engraved with a serial number, just near the base of the blade at the hilt. Designed for collection and display, this version of Ice, the Sword of Eddard Stark, is a handsome and hefty blade that will astound all those who see it. It stands as proof at the power that Ned Stark wielded, not only as the Lord of Winterfell and Hand of the King, but also as a great warrior.